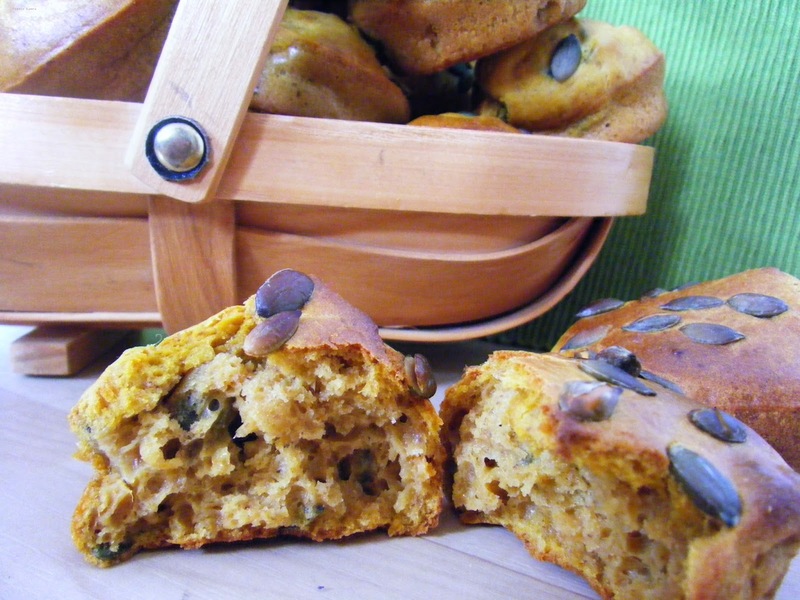 With no added salt or sugar these sweet potato muffins make an ideal breakfast. I usually make a large batch of muffins and freeze them, then I take them out of the freezer the night before I want to have muffins for breakfast. I particularly love these sweet potato muffins on busy mornings, I made this batch so I could take some of the muffins on a trip this weekend. Whisk the sweet potato and wet ingredients together with an electric whisk. Sieve the dry ingredients together holding back the pumpkin seeds. Gradually, add the combined dry ingredients into the wet potato mixture, finally stirring in 100g of the pumpkin seeds into the batter. 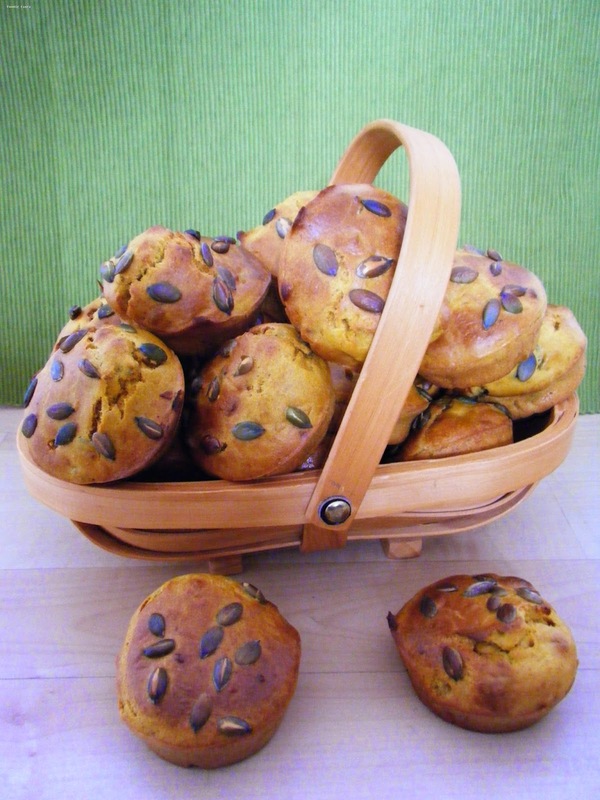 Divide the batter into 20 muffin cases adding a few of the remaining pumpkin seeds on top of each muffin. Bake in the centre of the oven for 15 minutes until the muffins rise and brown. These muffins can be wrapped in tin foil and frozen until you are ready to eat them. I try to take them out of the freezer the night before but if you forget you can also defrost them in a low oven. For more muffin inspiration see Cheese and Chive Bran muffin recipe and Walnut Muffins with yacon syrup.